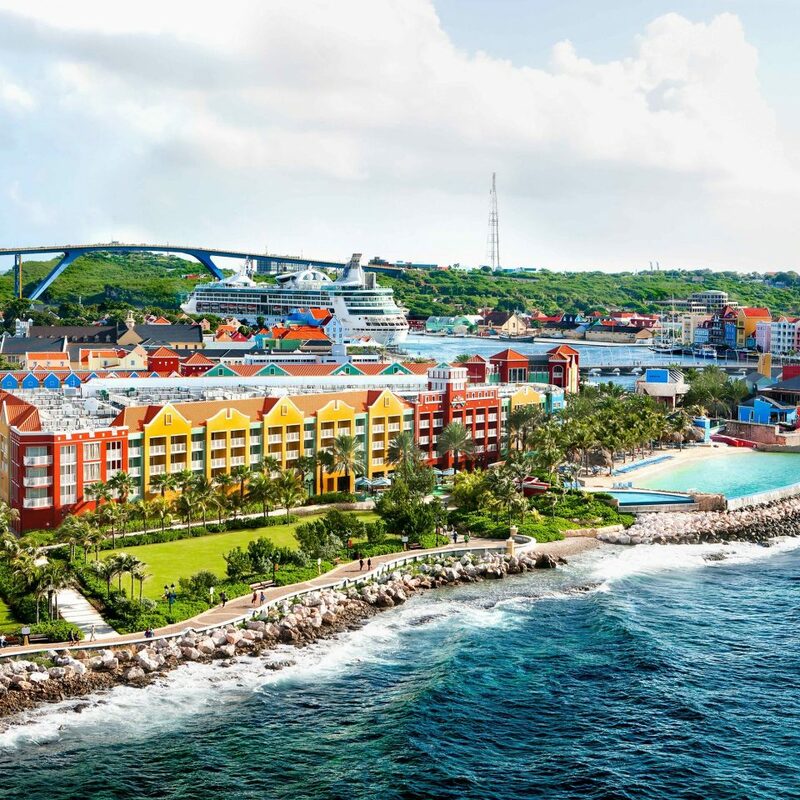 A jaunty pastiche of Curacao’s candy-colored harborfront, the sprawling resort is like a Crayola explosion, both inside and out. 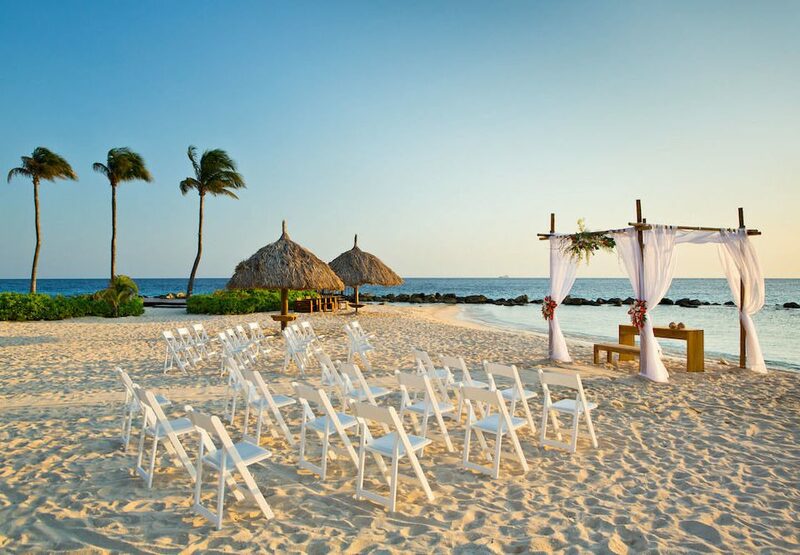 Bright gabled buildings, towering palm trees, high-end boutiques and cozy seating areas dot the grounds, while the public spaces embrace the more-is-more maxim with gusto, favoring chandeliers and clashing fabrics and textures wherever possible. As you’d expect from the Marriott chain, the rooms are uniformly dressed and meticulously clean, but won’t excite design buffs. 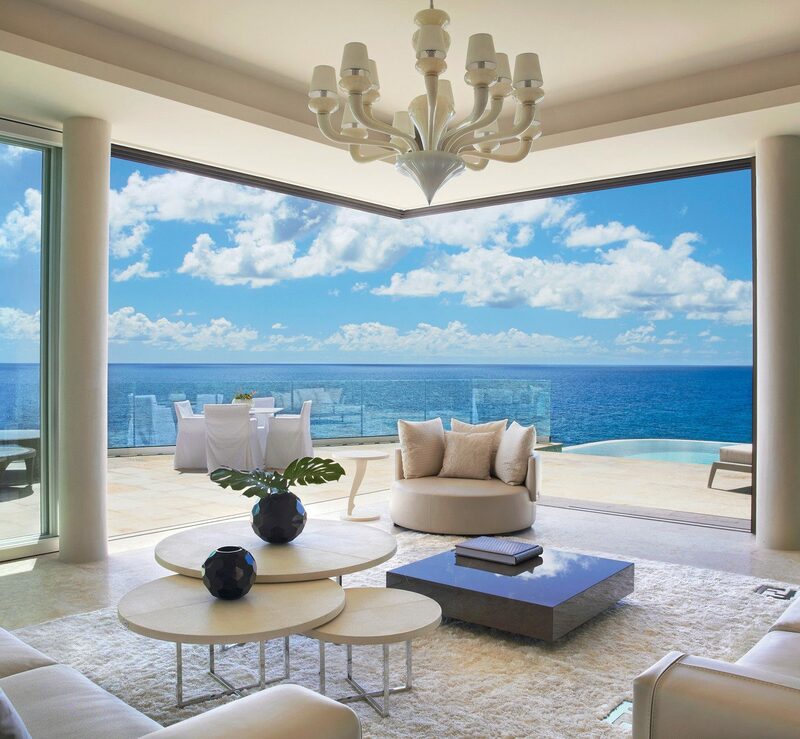 The clashing color scheme extends from the carpets and walls to the curtains and bedding, and ocean-facing guestrooms add a shock of Caribbean blue through the floor-to-ceiling windows. 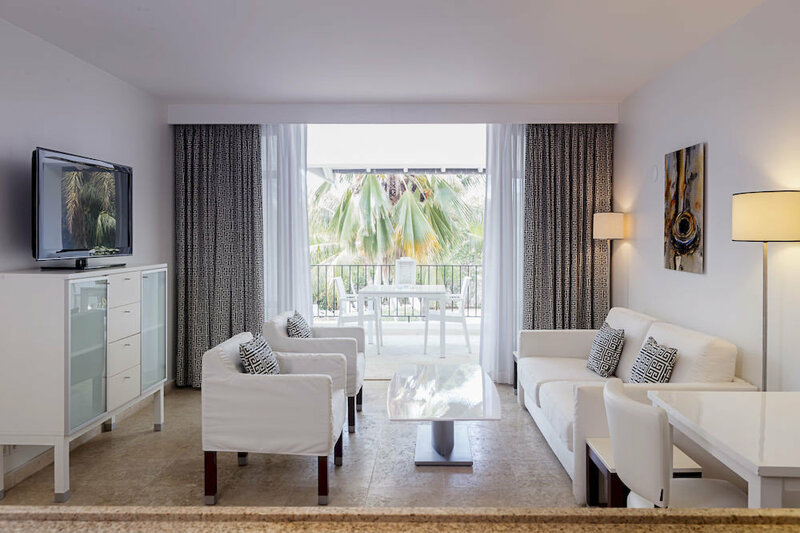 All rooms have flat-screen TVs, fierce air conditioning and colorful tile bathrooms with over-tub showers, Aveda toiletries and vanity mirrors. 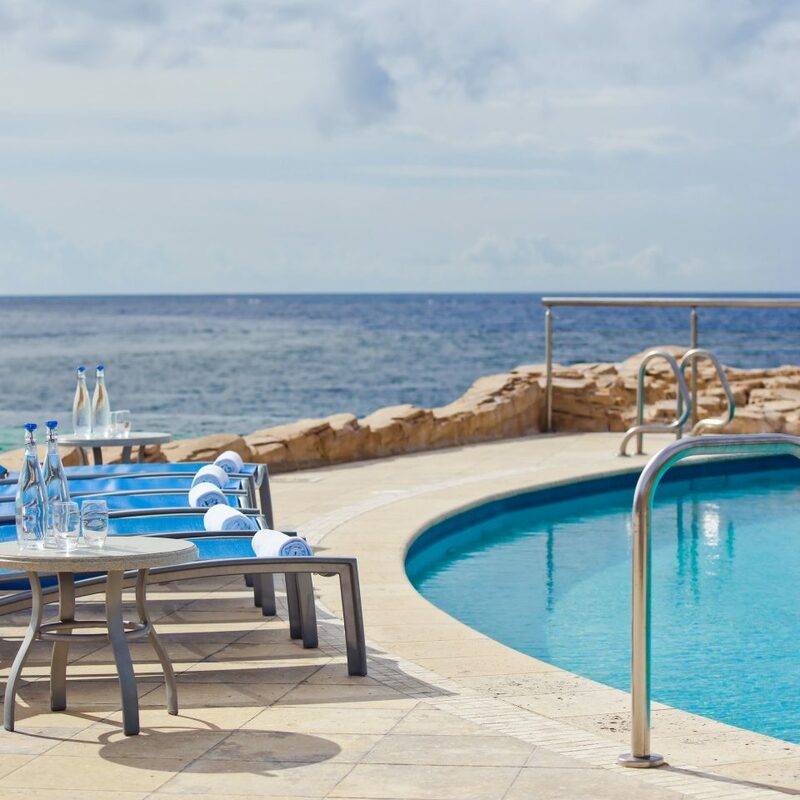 From the much-hyped infinity beach pool and the stretch of boutiques (including Mont Blanc, Armani Exchange and more) to the five bars and restaurants and the on-site casino, the Renaissance Curacao excels at brain-off-bliss-out entertainment. 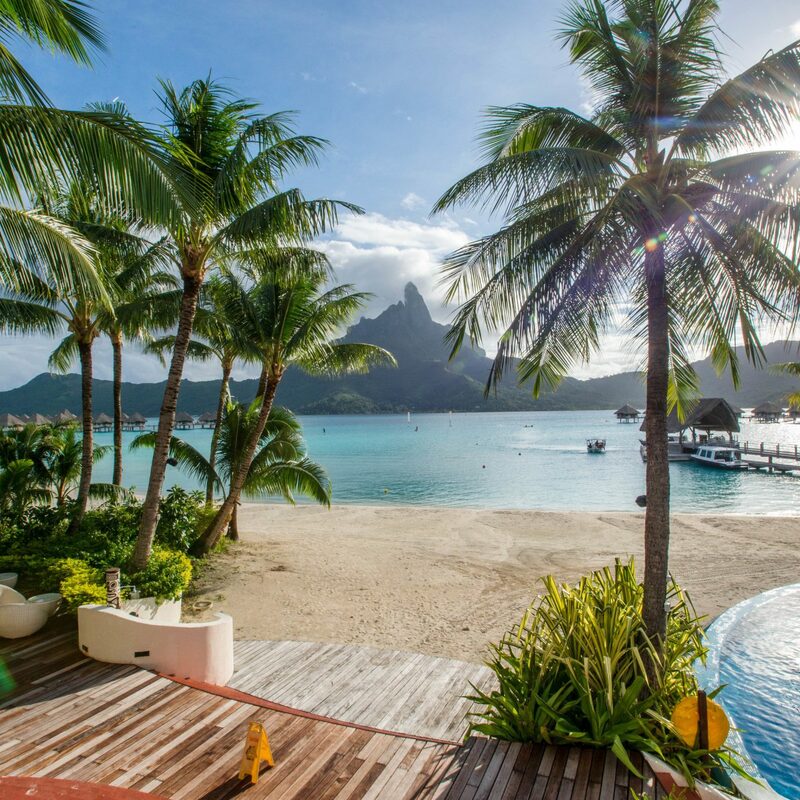 On the dining front, it’s high Americana at the Infinity Beach Bar, where all good things come in a basket, while the Xquisit is upscale European, with one of the most extensive wine lists in town. Learn about the real pirates of the Caribbean at the 19th century Rif Fort— a UNESCO World Heritage Site ideally situated on hotel grounds. We had a family vacation without much planning, the staff at Renaissance was awesome. They are very accommodating and willing to assist. Since we were greeted, the staff at the bell station made our time happier. But the hotel really shines in the nautilus restaurant, where Martina and Isabel made our mornings great, be sure to keep an eye out for sidney and Lenny as they will surely bring a smile to your face. 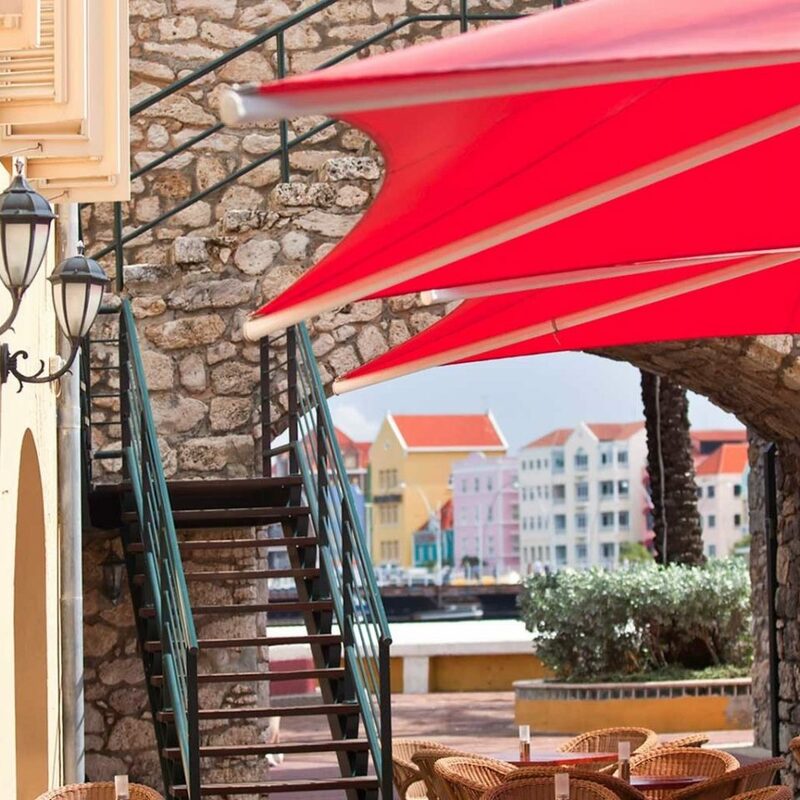 This hotel is very superior in the staff kindness and at a great location of historic Willemstad. 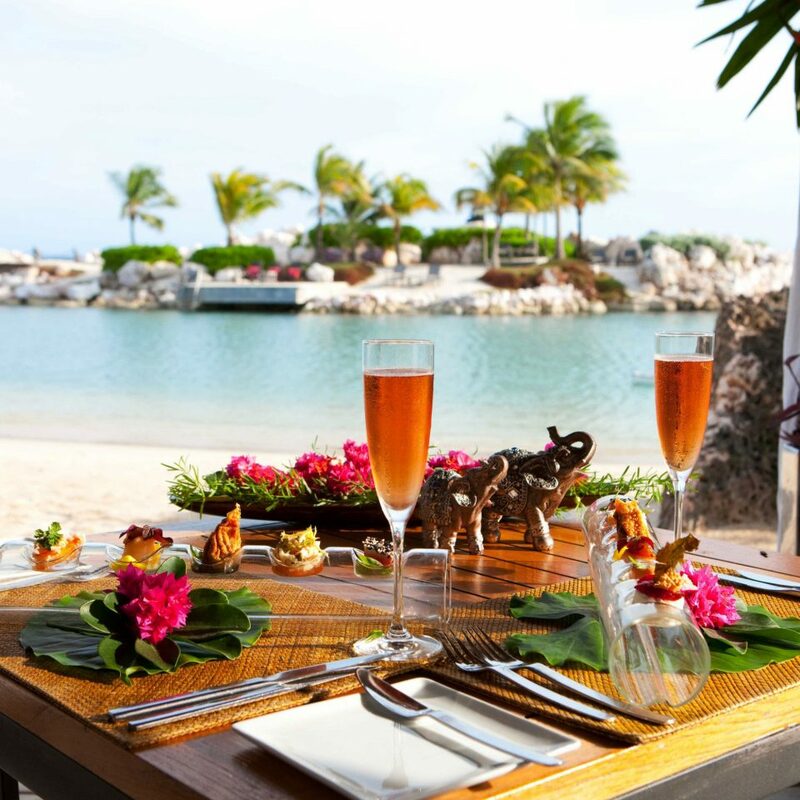 Chef Prepared Dinner at the Renaissance Curacao! What a lovely anniversary night! My husband suggested that we celebrate at this restaurant before getting back on the cruise ship. What a great decision! We mentioned to our waitress that we needed plant based options. She immediately responded that she needed to notify the chef. Executive Chef Wassenaar himself came out and talked to us about our food interests and his ideas/suggestions! Wow! He created an appetizer that was so amazing that it could have been the entree. We ate every single delectable bite. This was followed by an entree that was Iron Chef quality. The literal cherry on top was a beautiful dessert with Happy Anniversary in chocolate!!! The imagination and time he put into our meal could only have been from the heart of an executive chef!! We felt so special because there was no way we could have planned such a special evening. He even invited us back and asked us to contact him in advance as he would be delighted to plan and cook our meals for the week!!!! Who does that??!!! For this reason we will return just because of his kindness, skill and leadership. My girlfriend and I don't spend too much time at the actual resort when we go on vacation and are more of the exploring type. 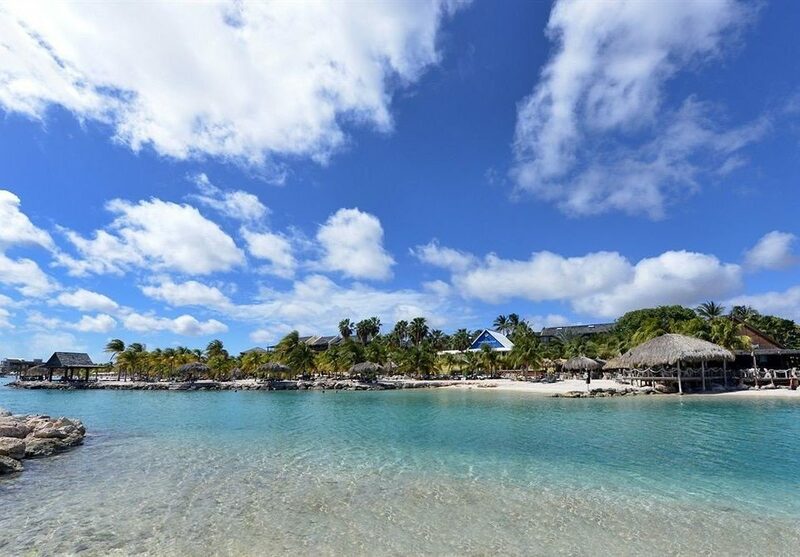 If you are wanting to explore the entire island of Curacao I think this hotel is a great choice based on its centralized location of the entire island. We were able to see beaches on both the north and south shores. 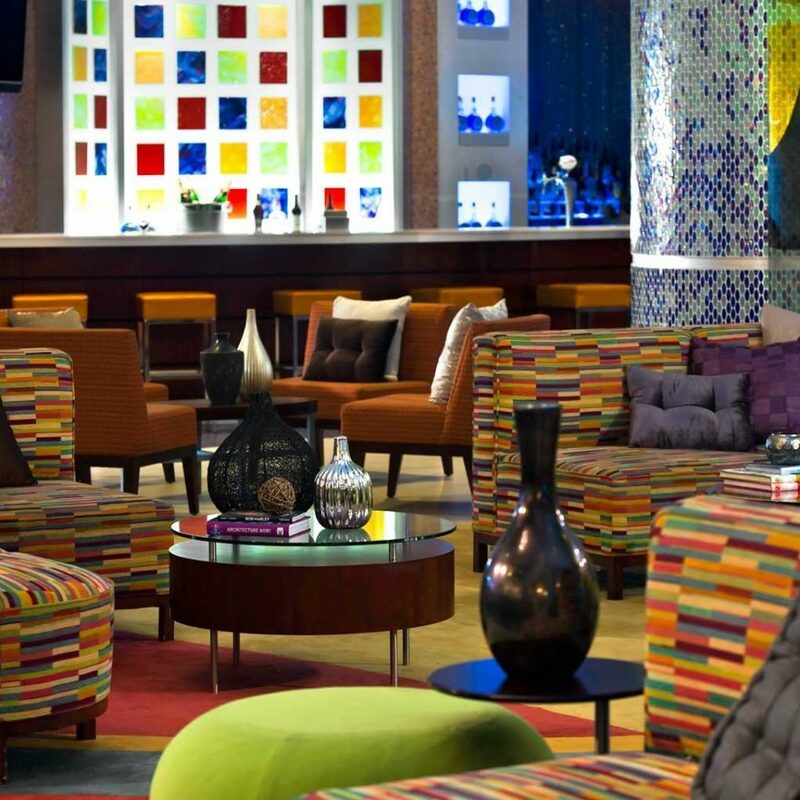 Also, the downtown/bar scene is walking distance from the hotel. We went out a few times till 2am and walked home safely with no problem. 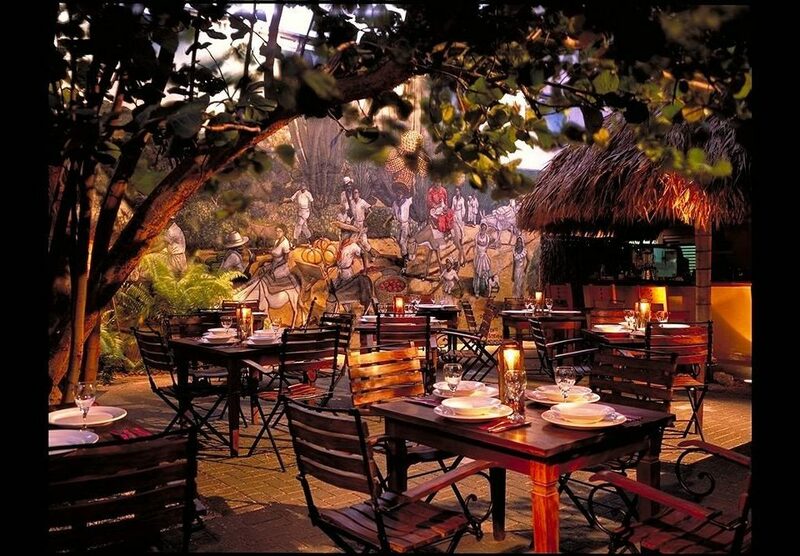 The staff was always very friendly and accommodating whenever we had an interaction. I was very appreciative of their care and concern, especially from Miguel, one of my favorite staff members. The room was also very nice and I had no complaints regarding cleanliness or anything of that nature. 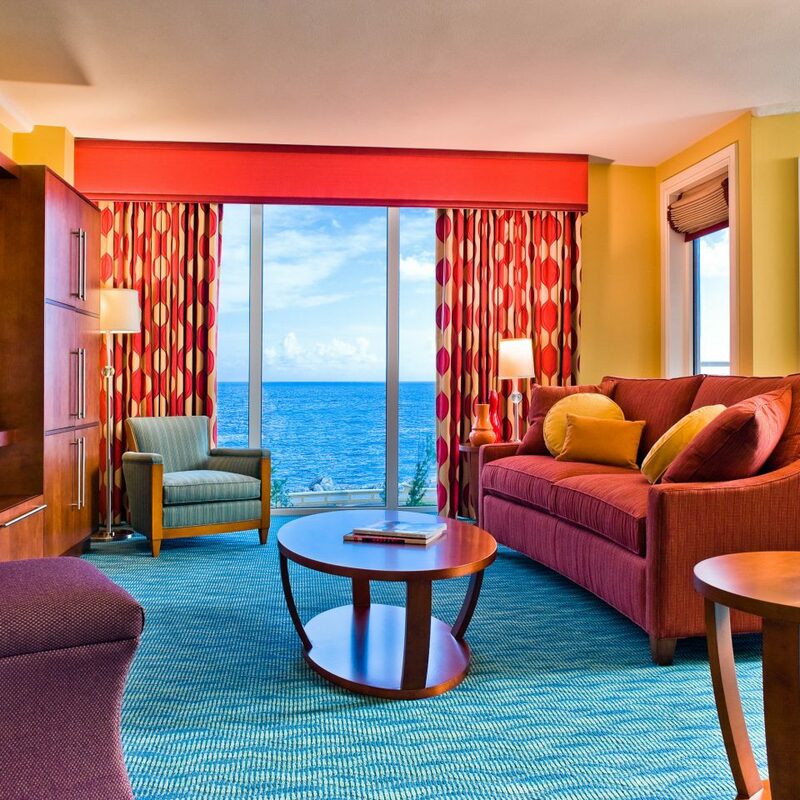 I would stay at this hotel again if coming back to Curacao. AMAZING! Very friendly staff, highly accommodating! Fabulous hotel and food! This is our second time there and we will be back! CURious 2 Dive scuba is amazing! Jwwella,Sidney, Gabelly, Martina Kook, Leny, Arlone, Alexis, Sheila and Chris Miguel were all FANTASTIC! Hope I didn’t forget anyone! 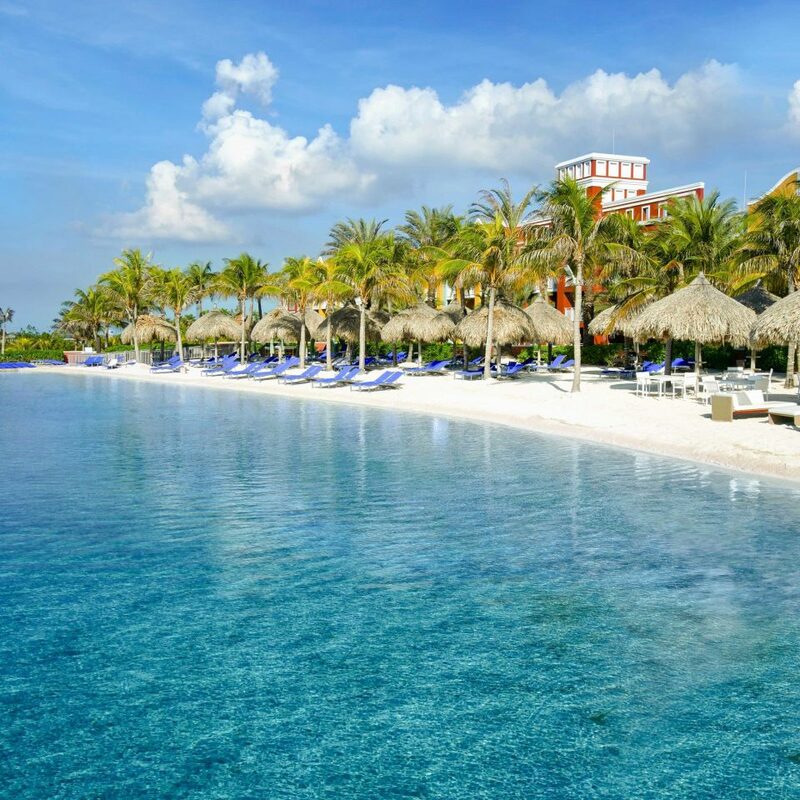 The Renaissance Hotel in Curaçao is outstanding. I give them a 5 star all around! Keep up the GREAT, warm, welcoming feeling you all have!!! !